Trying a kids styling service is not something I would usually sign up for on behalf of my daughter, but with work being as manic as it is and having no spare time to buy my own clothes let alone find clothes for her, it seemed like a genius idea. With work being quite full on at the moment, finding myself needing to be smarter about how I spend my time. I have plans to outsource or automate as many things as I can that are easier and more cost effective for other people or computers to do – like putting the weekly shop on repeat for example. That way, when I’ve finished work I can get on with doing the things I want to do, like spending uninterrupted time with my family without having to spin too many plates. Basically, I’m trying to take up Tim Ferris on his advice and see if it works. So when I was asked by Muddy Creatures to review their kids styling service, I was actually really excited to accept. I took a look at the website for Muddy Creatures and was really impressed with how slick it is. I also took a look from my mobile, in case I’m on the go and that site work really well too. Essentially, Muddy Creatures is a styling service for your children and is aimed at busy families. I don’t know about you but I don’t go shopping with my daughter for her clothes. Actually, I tend not to go shopping with her at all if I can help it. It’s just not fun for her and it’s not really very fun for me either. I either grab time when I can to go shopping for her bits and bobs, or I shop online for her, or I’ll grab stuff as I’m doing to the food shop. I mean, I love F&F and TU but sometimes you want something different and something a bit more special, you know? and sat back and waited. I didn’t wait very long at all, I got a call from Muddy Creatures the next day to confirm everything, they talked through all the information I’d inputted and confirmed the sizes and discussed the types of clothing they had. It was actually a nice chat, I chatted about the things she liked to wear and how we spent our time so that the clothes could be tailored to our lives. I said that she liked to wear leggings and trousers for every day wear but since starting nursery she had a couple of birthday parties coming up and would like a party dress to wear for them. At the end of the call I was told that the box would be arriving the next day – I was quite excited! Although none of the things were for me, I did feel like I’d just conquered a huge task without doing very much at all! The box arrived the next day via DPD (I love their delivery slots) and the box full of gorgeous things arrived. The guys at Muddy Creatures are happy to deliver to the office or your home, which is great. When I looked through the box I was genuinely so surprised at the kinds of things included. It was full of some of the coolest clothes I’ve ever seen and they really are what I would be looking for if I were out shopping for my daughter. They’re such unique pieces and they’re great quality. 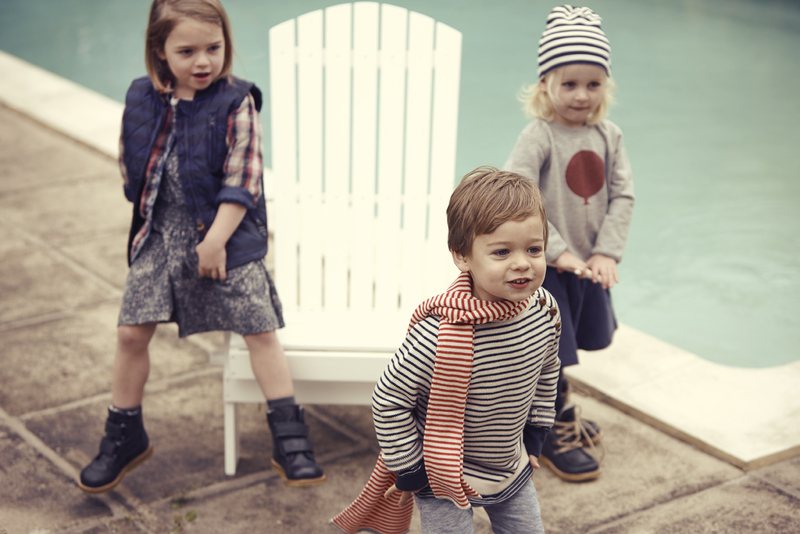 Muddy Creature was originally created so that the founder, Anja, could share her love of her native Scandinavian designers with other parents the UK and offer this service for busy families. The collection has since expanded to include Spanish and British designers. The Muddy Creatures service currently caters for ages from Newborn through to age 6. They carry pieces from designers such as Mar Mar Copenhagen, Mini Rodini, FUB, Soft Gallery, PopUpShop and lots more. 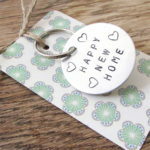 Anja won’t mind me saying that the prices of these pieces are slightly higher than your average high street and that is testament to the quality, gorgeous design and the commitment to slow production. The clothes truly are really unique. This dress from Mar Mar Copenhagen* is so perfect for her, flowing, lined cotton and not too fussy. The cotton rib tights* are such a lovely colour they add finishingtouch. The floral print chelsea boots* (seen below) are from Angulus, she loves them. The box has little touches that you wouldn’t think would be included, like the swimsuit, hair bows, socks, tights and this very cool towel poncho. 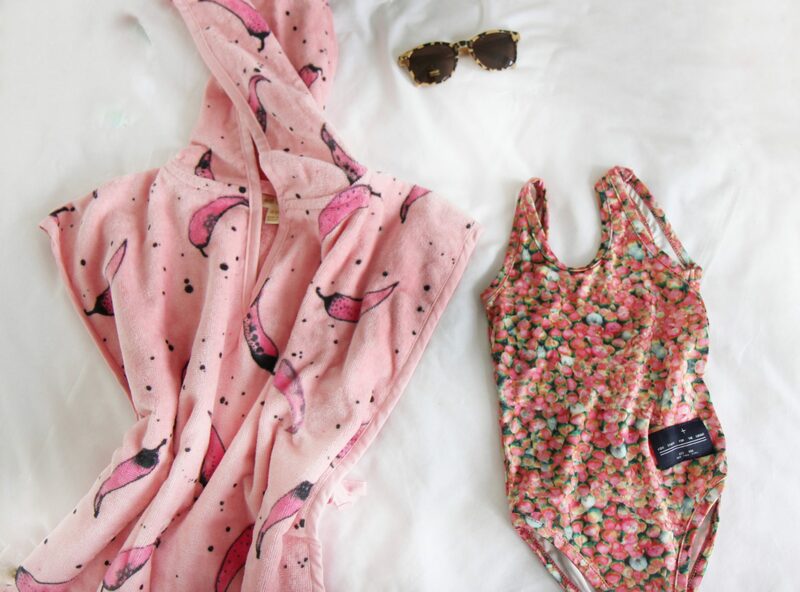 This swimsuit and seriously how cute are the leopard print sunglasses? !